This band started up in 1994 under the name of Kara’s Flowers. Yes, they formed the band when they were in high school. 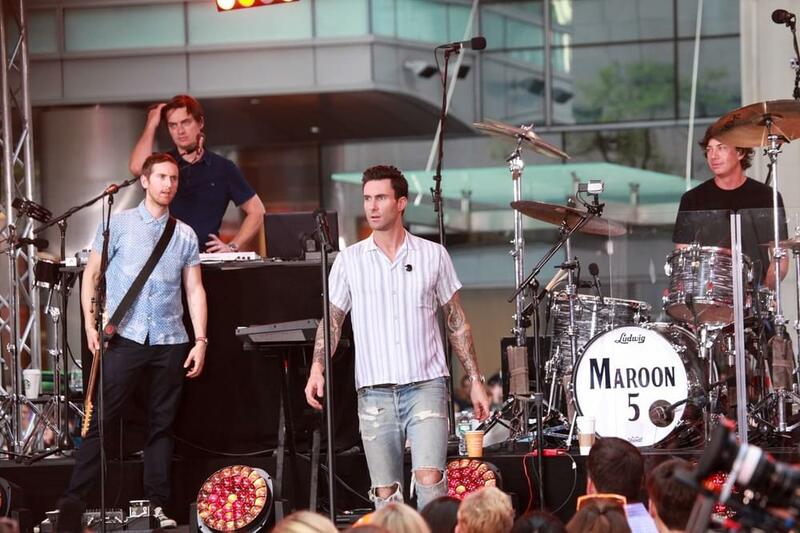 Since then, the band continued to grow until it became Maroon 5 in 2001. In 2002, the world knew who they were when they released “Harder to Breathe.” But, it wasn’t until 2004 when the album went platinum and they were dubbed “the sleeper hit of the millennium.” Later, in 2005, the band won their first Grammy, which was for “Best New Artist.” Then, in 2007, the band reached monumental new heights when their single “Makes Me Wonder,” hit #1 in several music charts. The band currently consists of lead vocalist Adam Levine, keyboardist and rhythm guitarist Jesse Carmichael, bassist Mickey Madden, lead guitarist James Valentine, drummer Matt Flynn, keyboardist PJ Morton and multi-instrumentalist Sam Farrar. The band has only lost one original member since it formed in 2001, and that’s drummer Ryan Dusick. However, he didn’t leave because of bad blood, it was because he injured himself! Currently, they sold a whopping 75 million records, which makes them one of the top selling music acts of all time. injured himself so severely from the band’s constant tour schedule in the early days, he was forced to retire in 2006. Currently, they sold a whopping 75 million records, which makes them one of the top selling music acts of all time.